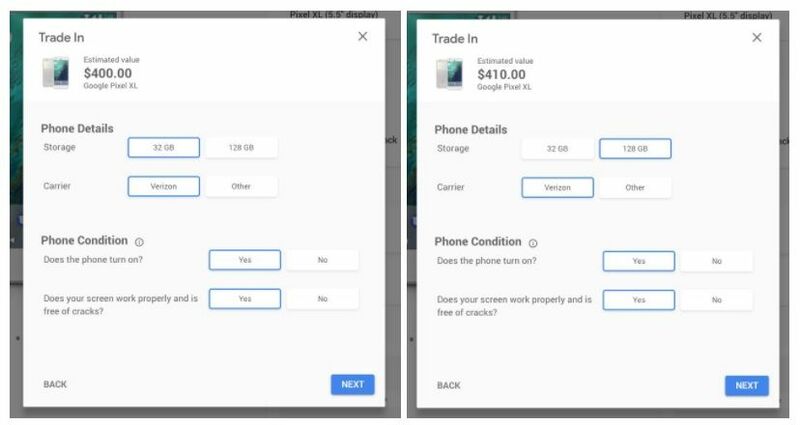 Shortly after Google launched their device trade-in program for Project Fi and the Google Store last week, we all noticed that the Pixel and Pixel XL were not listed as devices eligible to be traded in. 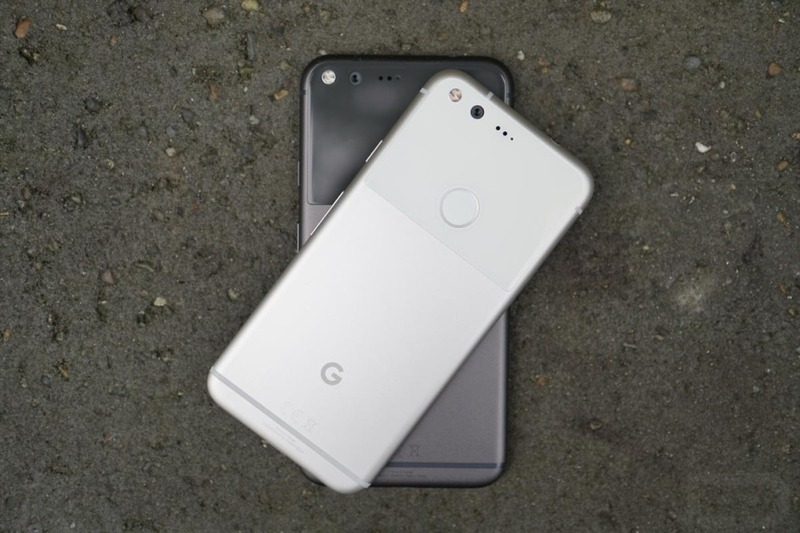 This week, that changed and both are now listed, giving us an idea as to how much Google will give us as we consider upgrading to the Pixel 2 and Pixel 2 XL in a few days. For the regular Pixel with 32GB and in working condition, Google will give you up to $350. If you own the 128GB model, your phone will fetch up to $360. For the Pixel XL under those same circumstances, you are looking at $400 for 32GB models and $410 for 128GB models. Now, those are the prices if your phone turns on and has a display free of cracks. Should your phone have issues, the price will drop. I’m no expert on trade-ins, but those prices don’t seem bad at all to me. Samsung, for example, is only offering up to $300 for a Pixel or Pixel XL in its Note 8 trade-in program. You can buy a refurbished (used) Pixel or Pixel XL for around $350 or $400 today as well. 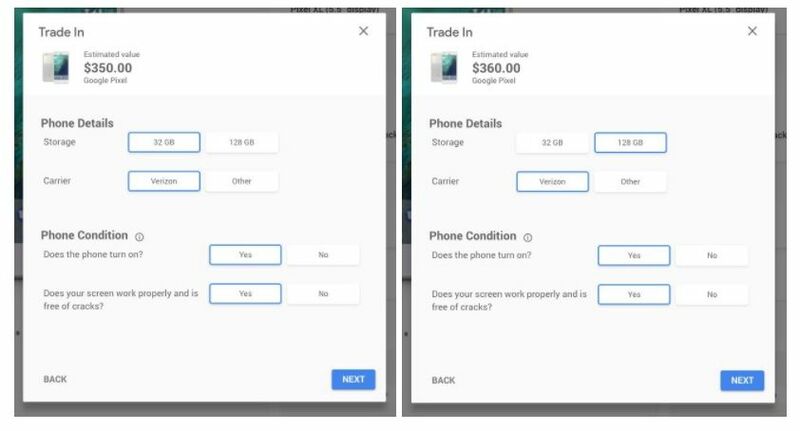 Google sure seems to be giving you more than market value for their own phones.